Blackberry Smoke picked up the torch of a very decimated Southern rock and managed to reach some success. So, it's hardly surprising that the release of a new album of the Atlanta combo is a major event. And we are not disappointed ! Everything's there ! The hoarse and drawling voice of Charlie Starr supported by his expressive guitar. The catchy compositions. The competence of the musicians. The indefinable but immediatly recognizable flavor of a record « made in Georgia ». « Waiting for the thunder » opens the ball with a medium tempo, almost a capella verses (only underlined by handclappings and rhythmic punches) and a chorus easy to remember. We are rewarded with an organ solo on the break and with a brief guitar solo. « Let it burn » (a « redneck rock » tinged with country) speeds up the cadence with a quick rhythm, a piano in the background and a good axe solo (sadly too short). All those ingredients make a great tune.The Southern-country ballad « The good life » is exquisite with a six-string solo as saturated as can be and the Southern voice of old Charlie. A delight ! « What comes naturally » (a slow country tune) lets irremediably think about some tunes of former Lynyrd Skynyrd with its piano and its excellent slide solo. The nostalgic « Running through time » lets linger a kind of Allman Brothers atmosphere (« Dreams ») with the add of a touch of Country music. This title is endowed with a very good Southern guitar but we can regret the lack of six-string harmony. What a pity ! Despite this, it remains that the tune is excellent. 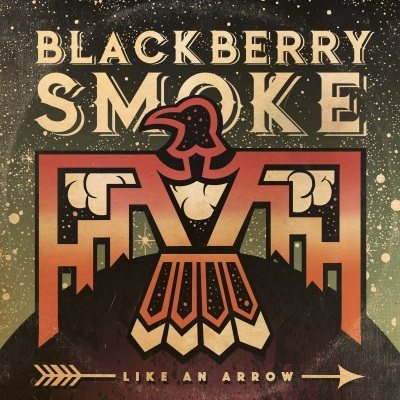 « Like an arrow » hits in the register of the Southern rock with a hypnotic medium tempo and a swamp rock coloration for the verses. The choruses hit strong in the Southern tradition but we have to note a too shy (although effective) guitar. « Ought to know » mixes brilliantly the Southern and classic rock influences with (at last) striking guitars at the third . The band calms things down with « Sunrise in Texas », a quiet slow tune in the style of the « Lucky man » of the new Lynyrd Skynyrd, decorated by an electric piano. Without a warning, the rhythm bolts for a splendid wah wah guitar solo. A very good surprise ! Again a Poco-like country atmosphere (with a mandolin) on the superb and melodic « Ain’t gonna wait », endowed with a very beautiful (but too short) six-string intervention. A success ! « Workin’ for a workin’ man » shows that we are back to solid rock that works hard with a slow down break for a sound axe solo. However, a solo on a fast tempo would perhaps have been more effective. Finally, the funky « Believe you me » reminds Mylon Lefevre's music in 1978. The conclusion seems obvious. We have here an excellent album ! We can however express a light reservation : Charlie should extend his solos and harmonize his guitar with his workmate's one. He has the feeling and the technique to do it. On the other side, he has well understood that he has to shorten the word to be on the radio and possibly hit the jackpot. And with a record in this league, the Blackberry Smoke guys could make it !